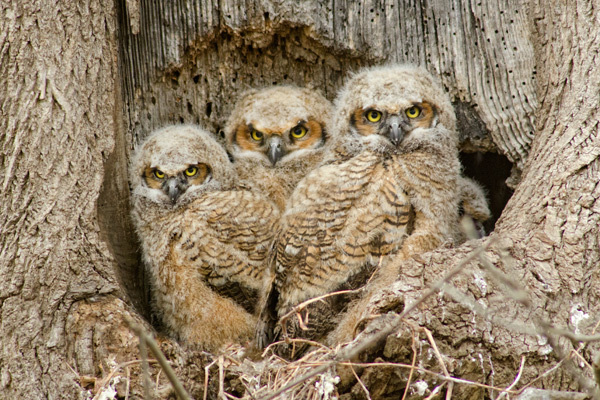 These three young owls are located in a tree in a local park and are quickly growing toward adulthood. They are in a spot that has drawn a lot of onlookers and thankfully there is a creek separating them from the curious.They say its unusual because there is rarely a hole this big in a tree to nest in and to see them so readily as well. I shot this with a 600mm. 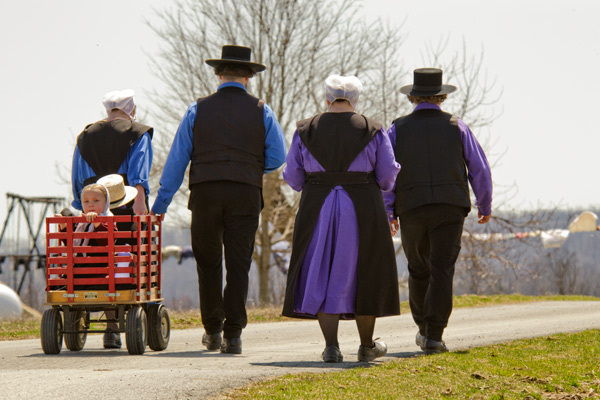 An Amish family takes a lazy afternoon stroll near Strasburg,Pa and the two children enjoy being pulled along. 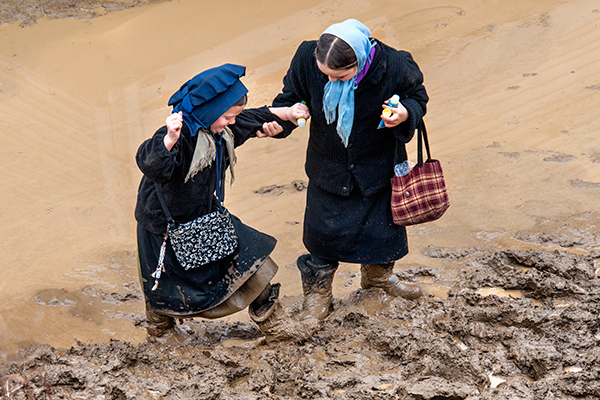 One Amish girl helps another work through deep mud at a recent mud sale.They had quite an adventure getting from one side of the puddle to the other. 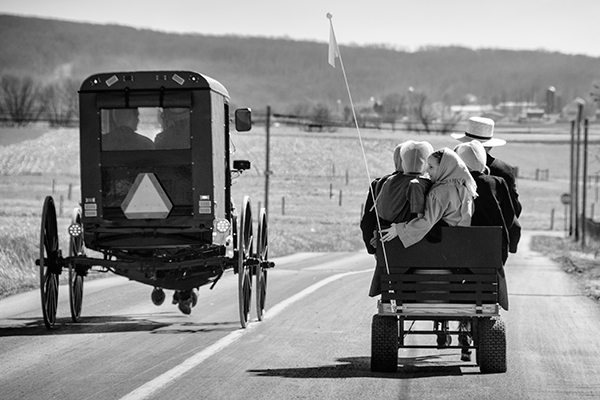 This Amish family of five crammed into this little wagon to take an afternoon ride and when the buggy on the left got behind them,he figured it was time to drop the hammer and zip around them.It was around 70 degrees this day and riding in the wagon must have been great fun with the small pony pulling them around the back roads. 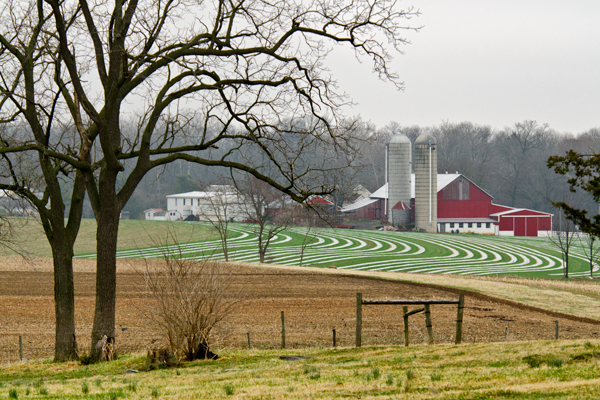 Spring planting in rural Pennsylvania creates this curving pattern in a freshly worked farm field. 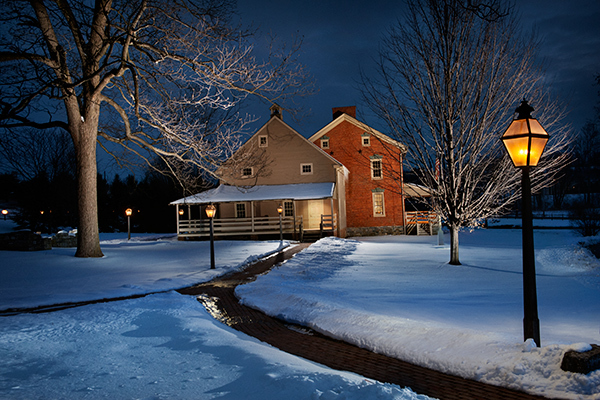 I light painted this rural scene during the last snowfall of the season. 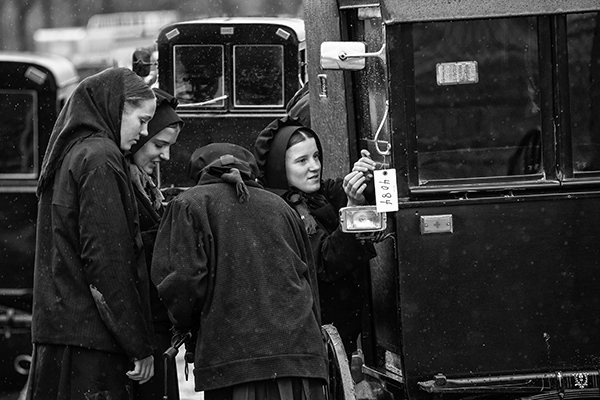 These Amish girls check out the selection of buggies at the mud sale. 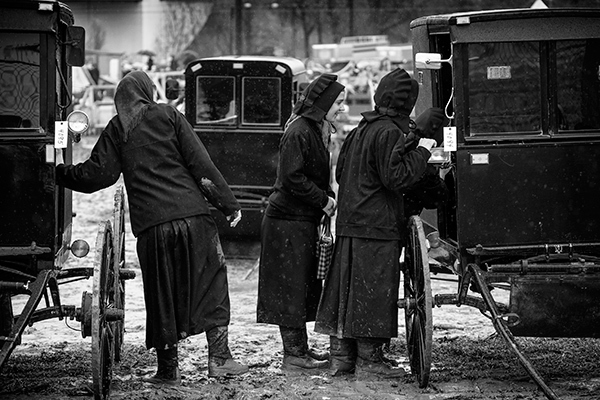 Amish customize their buggies in a variety of ways from carpeting to stereos to new led lights.I recently saw one going down the road with blue leds underneath and that’s something I thought I would never see.I also thought I would never see beer cans being thrown out of a buggy but I did a few years back as the youth were sowing their wild oats during whats referred to as rumspringa.